is The Woolmark Company’s first ad in seven years. The Woolmark Company, which works with wool growers to develop and market wool, hopes to connect wool with the fast growing activewear sector which has now become a $1.7 trillion global textile business. Tapping into the global tensions around our new obsession with synthetics, as well as the movement against plastic in recent months, the two minute film tells the story of a synthetic world that has forgotten how to live naturally. Instead of embracing natural fabrics, the people in the film wear layers of coloured plastic created from a strange new breed of synthetic sheep. Frustrated with the fake world, the story’s heroine seeks out the natural world and jogs outside the city’s smog wearing woollen activewear. The Apple-esque film, called Live&Breathe, will launch across Australia, New York, San Francisco, London, Shanghai and Tokyo and will be supported by large format and street OOH in all but one of these metro cities. 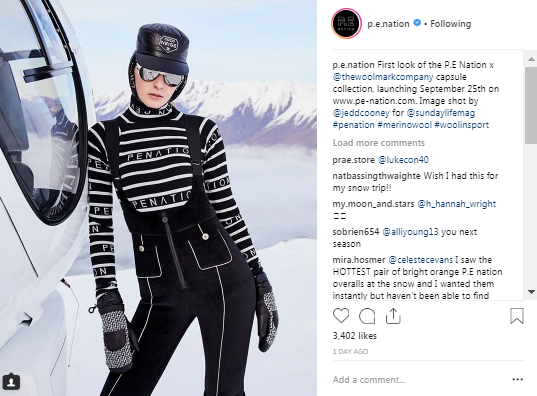 As part of the campaign, The Woolmark Company will run influencer-led fitness classes and has launched Merino wool capsule collections with brand partners P.E Nation and Erin Snow. “It’s not often we have the opportunity to produce global campaigns based in Sydney,” TBWA CEO Paul Bradbury says. "We are very proud that we will play a part in promoting Australian Merino wool to a new generation of global consumers." TBWA Sydney CCO Andy DiLallo says the idea is one that can "inspire" for years to come. The Woolmark Company MD Stuart McCullough echoed this, adding that a "new generation" of consumers are now expecting more from their purchases. "Merino wool’s combined performance properties and eco credentials are primed to meet this expectation," McCullough says. "Our global campaign reminds consumers of wool's natural benefits, which cannot be matched by any other fibre." TBWA Sydney has revealed a new global campaign for The Woolmark Company that aims to position Australian merino wool as performance and activewear for a new generation of customers. 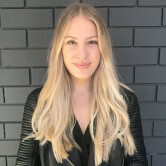 The campaign, the first from TBWA Sydney since winning the account last November, is The Woolmark Company’s first ad in seven years.